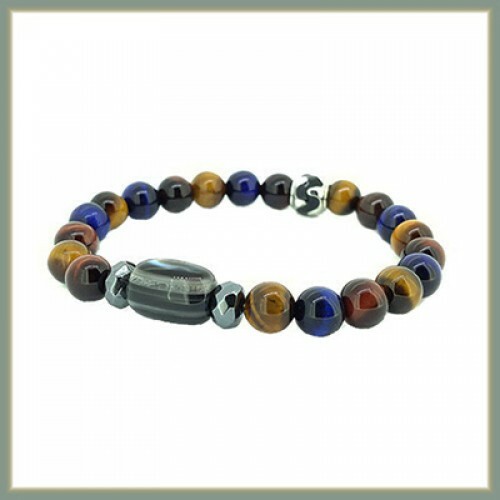 Healing Good Luck Men Bracelet made for Power, Wealth, Luck. 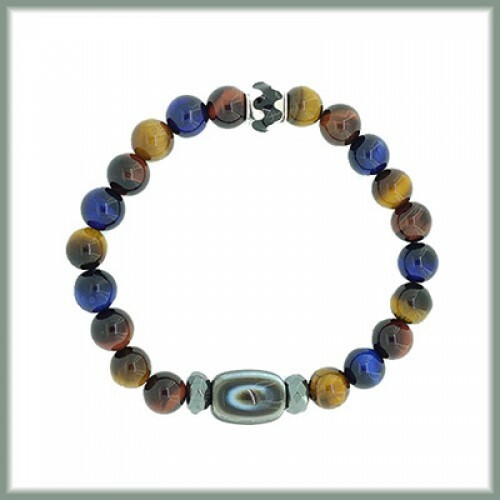 EYE AGATE - (centre bead) Eye Agate as the centre main bead of this bracelet, a very soothing stone to help reducing stress. Increasing calm & easing anxiety. It revitalize & empower you with courage leading to opportunities. Brings confidence, strength, courage, protection & good luck. It enhances personal power, good judgement & good decision making. 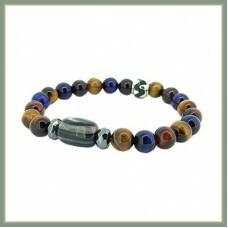 Stimulate wealth & good luck for wearer.